Nearly all systemic agents used in cancer treatment have the potential to cause a hypersensitive reaction. Now, in the largest desensitization study worldwide and the first cost analysis, researchers affirm that multistep rapid drug desensitization is a safe and effective procedure that can allow all patients to receive the full dose of their first-line medication. “Rapid drug desensitization is a technique where the medication in question, from antibiotics to aspirin, is given to the patient in slowly increasing amounts, starting with tiny doses and ending with the full dose prescribed by the physician. These days, the protocol has been extended to address hypersensitive reactions to cancer treatments, like chemotherapy or monoclonal antibodies, which are laboratory-produced molecules engineered to mimic the antibodies our immune systems naturally produce which attach to specific defects in cancer cells,” co-author Mariana Castells, MD, PhD, FAAAAI, with Brigham & Women’s Hospital said. Hypersensitive reactions can vary from mild (hives) to severe (anaphylaxis), but avoidance or second-line agents may be a setback for patients who are already facing cancer, malignancies, hematological diseases, chronic and inflammatory diseases. In this study from Brigham & Women’s Hospital, researchers tracked patient data from adults who were referred to the Drug Hypersensitivity and Desensitization Center between January of 2007 and December of 2010 with hypersensitivity reactions in the first 48 hours of treatment with chemotherapy or monoclonal antibodies infusions. They analyzed 2,177 rapid drug desensitization procedures for 15 drugs in a total of 370 patients. “We sought to show that these procedures can be safely administered without incurring substantial costs,” Castells explained. “93% of these procedures had no reaction or only a mild reaction. All patients, even those with severe reactions, were able to complete their regimen and safely receive the full dose of their first-line treatment. There were no deaths associated with desensitization and it was unprecedented to see patients first presenting with anaphylaxis, who were initially desensitized in the intensive care setting as a precaution, proceed to repeated successful desensitization appointments in the outpatient setting,” Castells said. “The threshold dose eliciting a reaction will be unique to each patient, emphasizing a need for individualized protocols to protect patients against severe reactions, like anaphylaxis. Close collaboration among oncologists, allergists, nurses and pharmacists will be key to successful drug desensitization,” first author David Sloane, MD, concluded. For more information on drug allergies, visit the AAAAI website. This study was published in The Journal of Allergy and Clinical Immunology: In Practice on February 16. 2016. 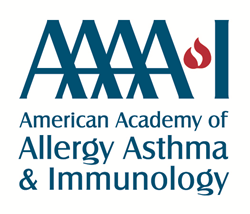 The AAAAI represents allergists, asthma specialists, clinical immunologists, allied health professionals and others with a special interest in the research and treatment of allergic and immunologic diseases. Established in 1943, the AAAAI has more than 6,800 members in the United States, Canada and 72 other countries. The AAAAI’s Find an Allergist/Immunologist service is a trusted resource to help you find a specialist close to home.